Meet Chayya who had just spent one sizzling and impulsive night of passion in the arms of the most irresistible stranger she’d ever met. Soon, she found herself half-dead while being half-alive! She was in a relationship, and yet so alone. Get ready for an emotional roller coaster ride as you read this novel about love, loneliness, emotions and upheavals. None among her family or friends ever thought that she would take a cue from Imtiaz Ali's Tamasha and start penning down short stories in the midst of writing and running test scripts as an IT professional with a leading MNC. 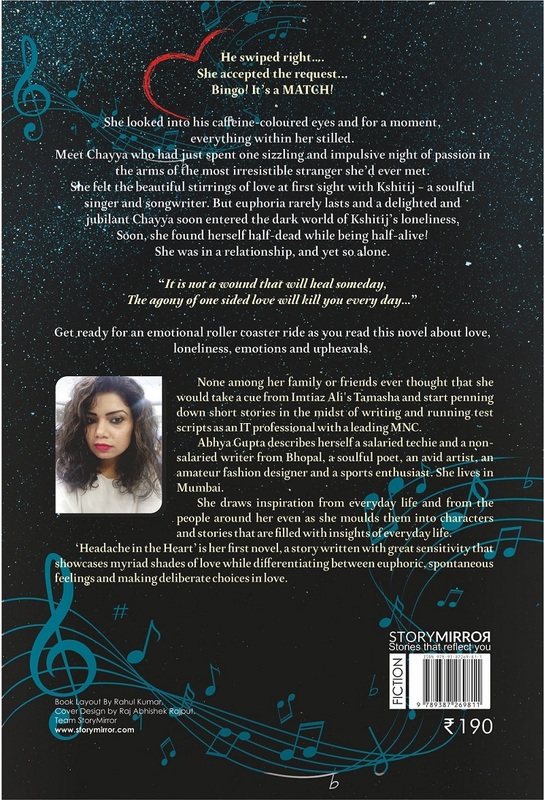 Abhya Gupta describes herself a salaried techie and a non-salaried writer from Bhopal, a soulful poet, an avid artist, an amateur fashion designer and a sports enthusiast. She lives in Mumbai. She draws inspiration from everyday life and from the people around her even as she moulds them into characters and stories that are filled with insights of everyday life. 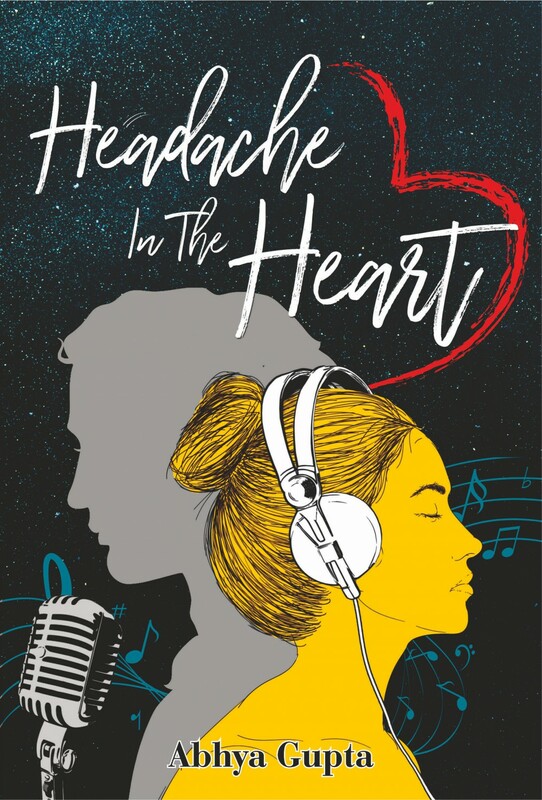 ‘Headache in the Heart’ is her first novel, a story written with great sensitivity that showcases myriad shades of love while differentiating between euphoric, spontaneous feelings and making deliberate choices in love.